This past weekend I ventured over to the Auto Club Speedway in Fontana to attend the Speedventures open track day, and to check out Big Mike’s Hontune event. This was the first Speedventures event I’ve been to, and although I didn’t track my car, I had a ton of fun walking around the facility shooting photos. Despite the bone chilling wind and uncertain forecast, I’m glad I went because I ended up meeting some great people and getting to shoot their awesome cars. 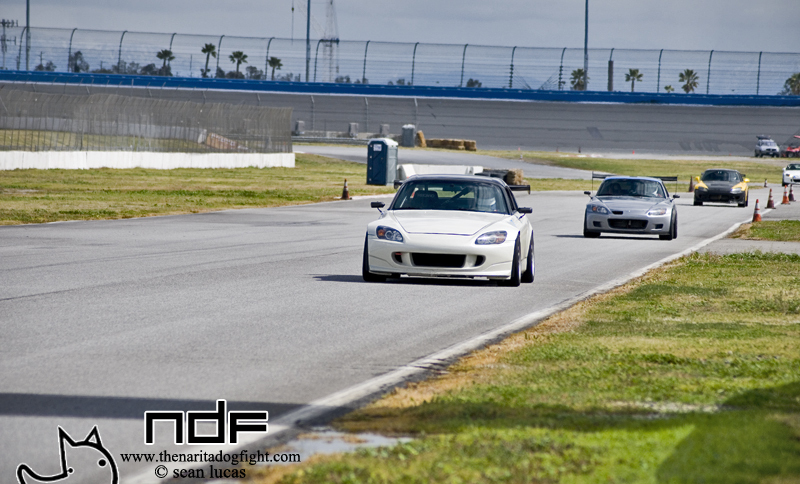 Case in point; the two track ready S2000’s you see before you. I saw this pair sitting unattended in the garage, so I ventured in for some pics; click past the break for more. 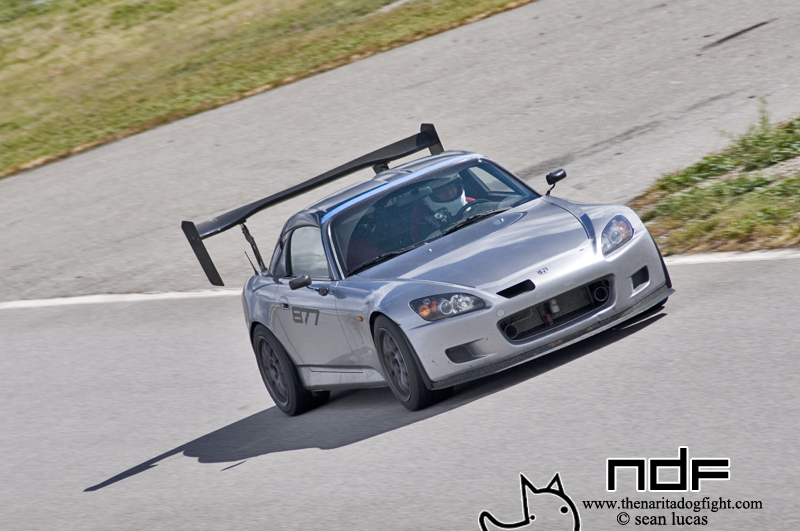 There were quite a few S2000’s at the event, but these two stood out to me in a way the others didn’t. Maybe it was the way they were parked, but it seemed like they were brothers. Cousins? Siblings at least…maybe they were built on the same day. Something about the car’s personality caught my attention. The two owners gladly let me take some more shots. …while the older brother, gray in wisdom, maintained it’s track roots with an aggressive, all out race look. 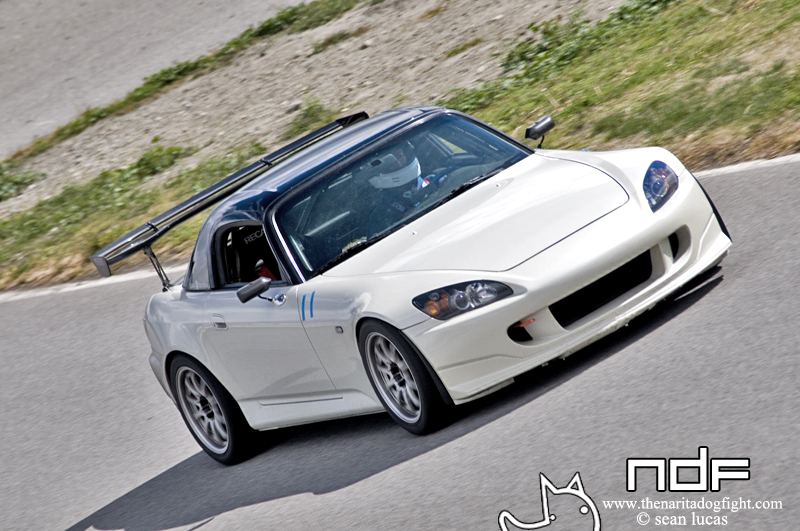 …the older brother exhibits a completely different style; one more akin to that of a dedicated time-attack car. Out on the track though, they both performed great. I was super excited about being able to roam the track in search of good angles to shoot from. I was lucky enough to be the only one track side too. Maybe I wasn’t even allowed out there…no one said anything though. Shooting these cars at close to 100 MPH on the back straight was a great change to always shooting static displays. I don’t get to practice panning that often. Regardless of your tastes in car modification, we can all appreciate a well built and often used machine. I’d say these two owners took varied approaches to their cars, but both came up with great results. The best part of all is that they get to battle each other on the track! Stay tuned for more shots of this event and some coverage from the Hontune car show. That last pic is great. 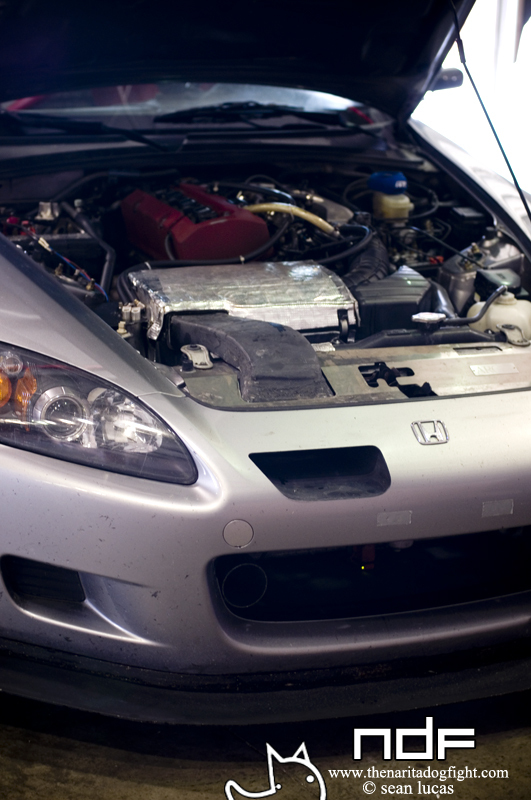 Love the AP2. 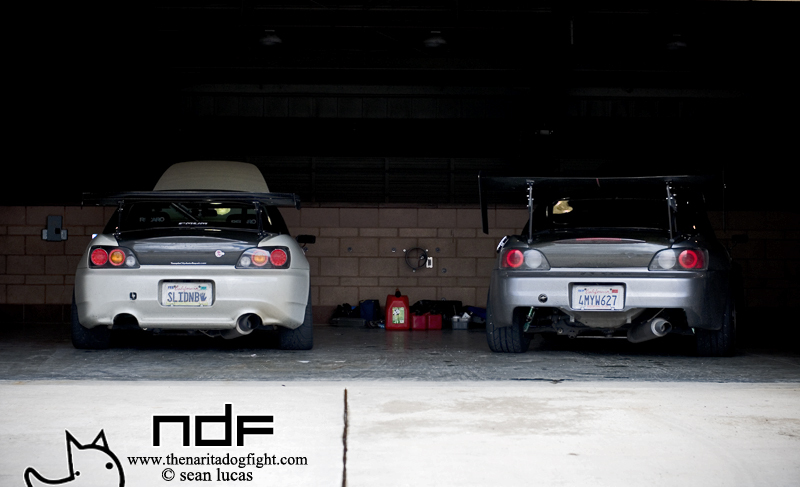 Is the white one an ex-Evasive S2k? No, looks pretty similar though eh?